The Prepare for Change Network has organized a Light Work program to clear dark energy wherever it exists on the planet. Dark, or negative energy is used to cause fear and depression and sickness, and is used to control others by a small part (less than .001%) of the population on our world. 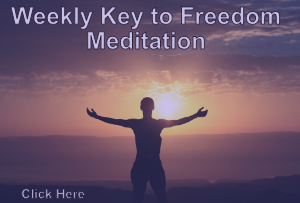 Weekly Ascension Meditation Instructions, which has a streaming guided meditation along with views and text of several special meditations. Tri-Sphere Meditation Technique page explains this special approach and has a form to enable you to connect with others and form a Tri-sphere team. Grid Work: Delivering Light to a Sacred Site Near You is a good introduction to doing Grid Work. Light Work: Clearing Guidelines are helpful, but just a taste of what can be used by you, with what is best depending on your inner guidance. The Light Work effort is organized using this page, regular posts on this website linked from this page, and through messages to the PFC Light Work Discussion list, a private email list, and then through small private groups working together to set their own times and specific objectives within the larger goals defined here. The small private groups are encouraged to stay in contact using email, text and phone calls. Because those who understand these ideas tend to be rare and often isolated, we are arranging regular video conferences for them to connect with others who are doing this work also. Join the Light Work Discussion List Just put “Join” in the subject. Sharing Knowledge Light Work Video Conference – All members of the Light Work Discussion list will be invited to participate in the Conferences. We use a conference system that requires an invitation with a link that you use to join the conference at the appointed time. LOCATIONS: As part of the strategy to control the people of the world the dark minority has caused ritual centers to be built on the Earth’s sacred energy vortex points everywhere they have influence. Sometimes they are actually called temples, such as for secret societies, but commonly they are built using public funds as commemorative monuments, libraries, court houses or government administrative buildings. These sites are designed by architects using sacred geometry and aligned with other buildings based on the same principles as well. Because they are designed for ritual purposes they do have spaces for regular meetings of secret societies who use the ley line intersection vortex points to strengthen their fear-based control strategies. 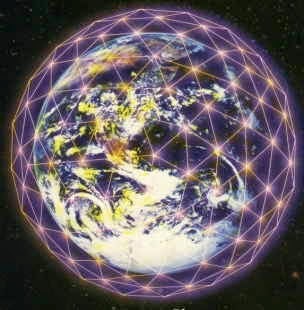 Clearing the dark energy from these sites is called Grid Work. (See this page for more information) On the Light Work list we will discuss how this is best organized and done, as well as the best times and place to do it. Light Work can also help more generalized locations such as war zones (like Syria)or other areas of conflict. Entire nations can be the subject, or even a multi nation region where the warring parties are focussing their attention. It is the attention to war that is addressed, the distorted energy of irrational fear and hatred is what needs to be healed. MEETINGS: The dark controllers have regular meetings to make plans and come to agreements everyday as well. Identifying these meetings, their times and locations can help us shine light there and influence the choices they make for the better, and enable the beings of light to have greater and more positive effect on those decisions. PEOPLE: There are many individuals who need the light shined on them as well. The purpose of this is turn them from the dark and have them embrace the light as their life’s direction. WEATHER: During the middle ages the idea that the atmosphere responds to consciousness has been used to invoke storms to save nations, Japan was saved by a huge storm from the Mongol Invasion and England from the Spanish Armada. In each case their well known Royal magicians claimed to have caused the storms. That they performed rituals for this purpose is as certain as the storms that destroyed their enemies fleets. Today we can use this awareness that the atmosphere responds to consciousness to reduce the impact of storms. See this article for more information. The power of love and light does not need to be physically close to work its miracles. Each of us adds our own to a global reservoir that can instantly fill any space that we project our intention toward. Defining how the light is directed and shaped is also part of the effect our intention provides. To better understand the effects of positive energy and intention, you may want to review the works of Masaru Emoto of Japan. In order for this to be most effective there are some basic guidelines. Second, having the confidence that it can make a difference, make arrangements to be in a place where you will not be distracted or disturbed. Have all who are participating arrive well before so by the time you begin everyone will feel calm and focused. Pass around any information, photos or maps (use GoogleEarth Street View) to help focus the attention of the group on the location, meeting or individual before beginning a guided meditation to get everyone into a protected, loving, mental and emotional space. Using a prepared guided meditation to direct the group’s energy toward the intended location, meeting or individual while using a series of visualizations to bathe, shower and/or immerse them in love energy while dissolving the ties of dark energy between them or anyone else. You will know when you have done enough. Use a final guided meditation to provide additional protection and clear any negative energy that may remain from the work. Before working on spots, especially the ones needing clearing, connect yourself in a pillar of brilliant white light going from the central sun to the core of the earth through you. You can also breathe in white light and breathe out what doesn’t serve you for a few minutes. State that you allow no dark interference in your reality. Call the help from light beings (Angels, Archangels, Ascended Masters, Faeries, Agarthans, Galactic Confederation, etc) to participate in the clearing and help keep you protected. Visualize white light coming from your soul star chakra, filling your whole being. After, redo the things we did before the clearing that you feel guided to. Listen to healing frequencies. Go out in nature (you can also do the whole clearing while being in nature, should make it easier), bathe in water helps clearing energy especially natural sources (rivers, lakes, seas etc), showers are good also, bath with natural salt can be very effective, as well as burning sage, palo santo, using essential oils, etc. If you feel sticky energies in your aura, state your free will to banish and transmute them and to anchor your divine blueprint in your whole being. *You can replace “my whole being” by “this whole vortex” to use for clearing of place. Can also use for house, belongings, food, etc. The Universe is conscious. What we think of as space is the flesh of mind, the mind of the creator. It is made of all the scalar fields and frequencies expressed by all things in the creation, from large to small and at its smallest and fastest frequency is the foundation of all that is, and beyond that, just one level of frequency faster and smaller is only the Source, and there is where we are connected at our very center of being. As big as the universe is, we have a piece of its very beginning inside of us, a tiny core of source that we project with our intention. It is a beam of consciousness that animates us and everything we do. It energizes our cells and activates the space around us to shape an awareness bubble that extends as far as we can imagine. Literally. Anything that our bubble interacts with sends us information back to our own center. For the spiritual beings reading this, that means we are surrounded by layers of consciousness millions of years old, because they are emanating from your, my and everyones Soul, our bodies are made of them amplified by the matter of the DNA. The body is the result of the interactions of our bubble of consciousness with the bubble layers that surround all things, the planet, the rocks , the trees and most of all the living beings around us. It is the interaction of our own consciousness with space, the flesh of mind of Source that is Light. Our intention is the frequency of Source and connects to Source when we focus our intention with our attention using the power to visualize in space. It is the power to create in space as we create in our minds. At the frequency of Source there is no time and no space. All is one. It is for this reason that we use invocations to put our minds intention toward this level of reality. When we invoke the the energy of the Goddess at the center of our Galaxy, we are directly connected to that consciousness and our visualization like a mould shaping it toward the purpose at the heart of our intention and the direction of our attention. This Light of Consciousness acts from the inside out. Reforming the basis of reality from within whatever it is directed toward. Gross matter does not know what has happened, it just loses its ability to be what it once was, suddenly possessed by a new purpose unlike its prior existence. We are Light Workers. Our ability is not unique, but our perception of its power is. We can change mens hearts and move their souls, we can show them the truth of love and the meaning of compassion. We can focus our attention and project our intention, and with our voice and power to visualize, gather and shape the Light of Source into a better world.